The FRSC advises motorists, especially commercial drivers, to desist from using expired tyres. 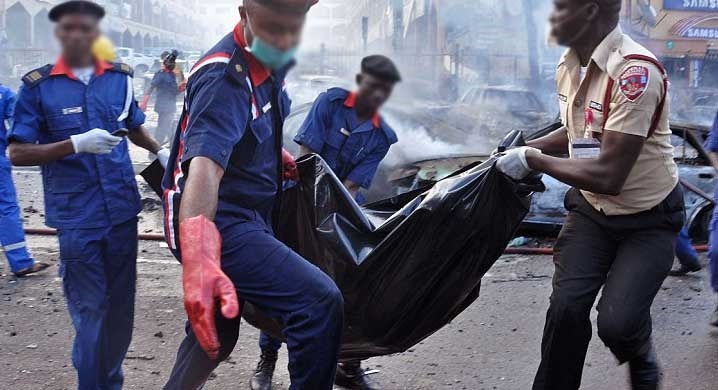 The Federal Road Safety Commission (FRSC) in Jigawa said on Sunday that one person died and eight others were injured in an accident on the Dutse-Gaya road. The Sector Commander in the state, Mr Angus Ibezim, confirmed the incident in Dutse. Ibezim said that the accident occurred at about 10:30 a.m. on Sunday after the tyre of an Opel car marked AB 104 NSR burst. He explained that the tyre burst was caused by the excessive speed of the driver. “Today at about 10:30 a.m., there was an accident at Karnaya village along Dutse-Gaya road. “The vehicle involved is an Opel car containing 10 passengers. One of the passengers died while eight sustained injuries,’’ he said. The sector commander added that the corps also recovered N590,000 belonging to the victims. ‎Ibezim further advised motorists, especially commercial drivers, to desist from using expired tyres. “The drivers must also avoid over loading, excessive speeding and use of drugs and other intoxicants,” Ibezim added.